Unfortunately, that can be a hard call for the city to make: A mural commissioned by the Lakeview Chamber of Commerce outside the Paulina Brown Line CTA station was removed by a Chicago Streets and Sanitation crew two weeks after it was painted. 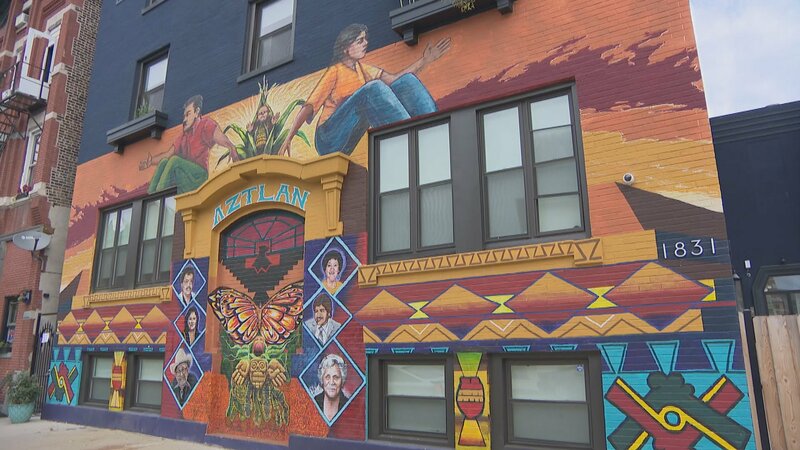 Similarly, “Es Tiempo de Recordar,” a 26-year-old Northwest Side mural celebrating Puerto Rican and other Caribbean art, was erroneously whitewashed by city workers months ago. To prevent this from happening, 2nd Ward Ald. Brian Hopkins has introduced a City Council proposal establishing a registry for public art through Chicago’s Department of Cultural Affairs and Special Events. The ordinance would allow property owners or building managers to formally register murals with the city. Joining us to discuss this proposal and how it may – or may not – affect Chicago’s public art and murals are Steve Weaver, executive director of the cultural nonprofit Chicago Public Art Group; and Sandra Antongiorgi, one of the artists behind “Es Tiempo de Recordar,” which she restored in 2010.